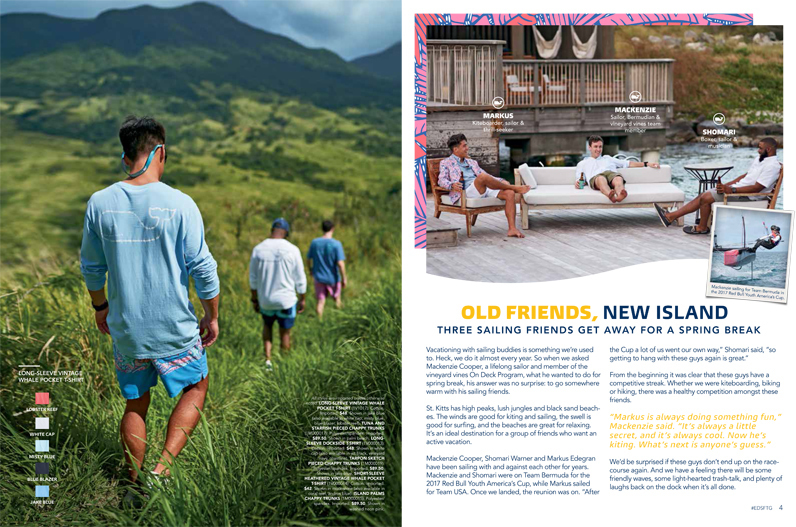 A spokesperson said, “Recently, young Bermudians got a great opportunity to work with Vineyard Vines on their latest spring photo shoot. 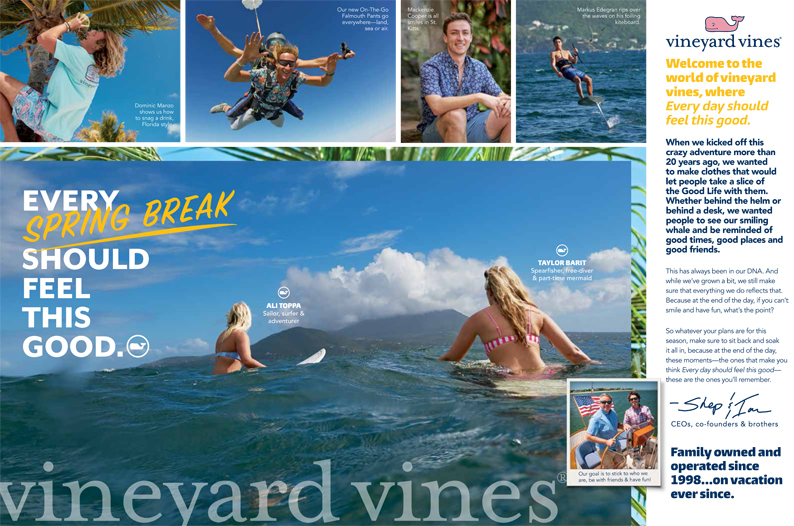 The company said, “For our spring catalog, we are celebrating those every day should feel this good moments, spring break style. To do so, we brought some of our friends from Bermuda on the ultimate bucket list trip to St. Kitts. “Mackenzie, a lifelong sailor and now member of the Vineyard Vines On Deck program, is a true team player and his happy-go-lucky spirit is a great addition to our crew. Along with Mackenzie was his friend Shomari, an incredible athlete – former professional boxer turned sailor and overall great guy with a smile that lights up a room. 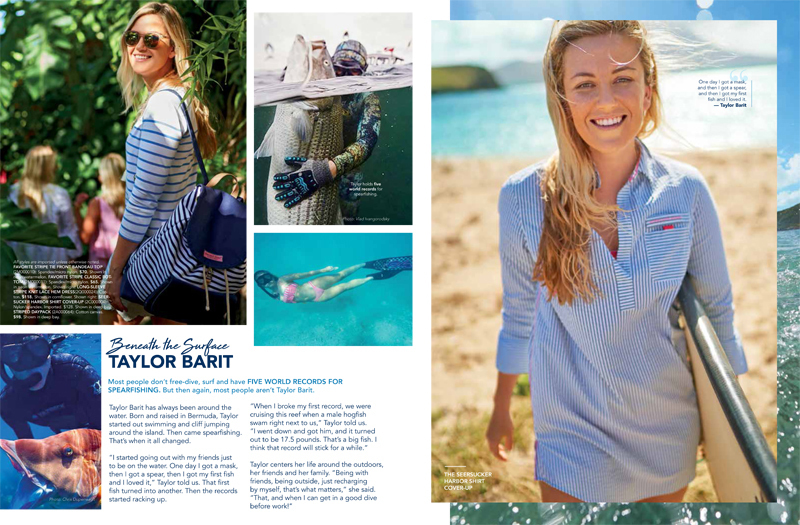 “Vineyard Vines makes clothes that let people take a slice of the good life with them, especially out on the water. 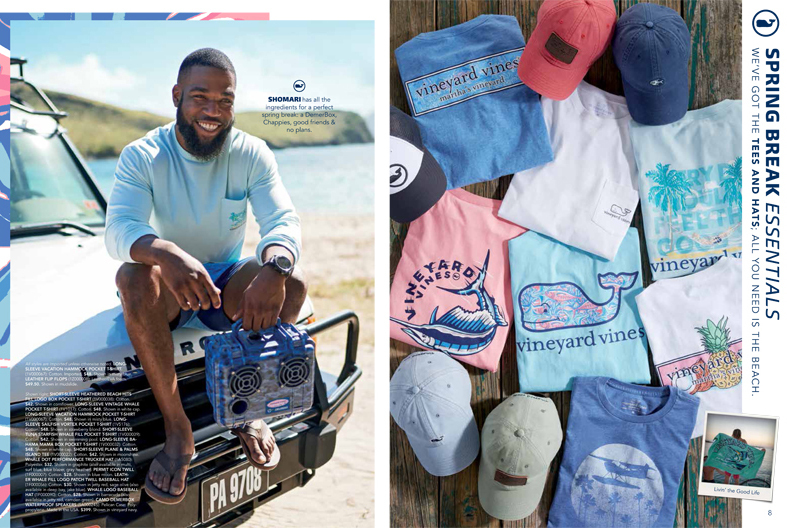 We chose to showcase Mackenzie, Shomari and Taylor because they not only exhibit their own entrepreneurial spirit, something that Vineyard Vines was founded upon, but they are natural brand ambassadors embracing their community and making water a focal point of their lives. Hope the Vine can hang in there, the rag trade is rough at the moment! Ironic considering the strong link between Bermy and St. Kitts. Looked like a good time.